<p class=”Body”>Marcelo Garcia is considered to be one of the best competitive grapplers of all time. Officially retiring from competition in 2013, he has 5 world championship gold medals under his belt and has competed against a who’s-who of BJJ superstars. 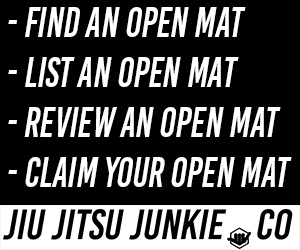 Including Renzo Gracie, Cassio Werneck, Alexandre Ribeiro and many more. Despite his prodigal talent and latent grappling ability, Marcelo actually began his journey by studying the Japanese martial art of Karate; a striking art rather than a grappling one. Even though he was born in Brazil, Jiu-Jitsu was not as widespread outside of the main cities at the time and was unavailable in the small town in which he grew up. In fact, Marcelo would later claim that he hadn’t even heard of BJJ at the time. He started training karate at 8 years old in the small Brazilian town of Formiga and quickly became obsessed with improving his abilities. Though as the time went on, he grew dissatisfied with the lack of what he felt was real world applicability and failed to see how practicing kata’s would prepare him for an altercation on the mean streets of Brazil. By the time he was 12, Garcia had quit martial arts altogether. A friend of his invited him to attend a local judo class run by Fabiano de Souza. Initially skeptical towards grappling and after a solid year away from training, Marcelo eventually agreed. He immediately saw the stark contrast between the rigid, clinical structure of karate and the aggressive competitiveness with judo. Marcelo soon showed his talent as he began to rack up wins in local judo competitions. Not long after starting judo, he was introduced to BJJ when he accompanied his coach to a Jiu-Jitsu class run by Iran Brasileiro in the city of Devinopolis. He followed his passion by travelling to Brasileiro’s academy three times a week in addition of his current judo classes. He became obsessed with becoming better and learning as much as he could about the art, the techniques and the rich history surrounding it. At some point in his training he decided that he was going to become a world champion. But as much as he enjoyed training in Devinopolis, he felt that it wouldn’t be enough to get him to where he wanted to be. Garcia would take trips to other gyms around the country to get a deeper experience of BJJ and on one of these trips he ventured out to a Gracie Barra gym in Sao Paulo. What he saw their blew his mind. The students were practicing techniques that he had never seen of heard of before, not even in his magazines. It was the first time he had ever seen someone use the spider guard. This cemented the feelings in his mind that been milling around; If he wanted to be a world champion, he knew that he would have to leave and seek out excellence elsewhere. As luck would have it, instructor Paulo Rezende noticed his ability at a tournament and invited Marcelo to come and train and live in his academy in Poco de Caldas. Marcelo would be able to sleep at the gym and train 4 times a day in exchange for him cleaning the mats and other assorted jobs that needed doing around the academy. Marcelo jumped at the chance and his parents soon relented; allowing their 16 year old son to follow his dreams. In Poco de Caldas, Marcelo began to develop his guard game to emulate what he had seen in Sao Paulo. He already had a strong base as a judoka and thus a strong top game, but it was here that he would began to work his skills off of his back. His hard work paid off and he began to win gi tournaments all over the country, including the world championship. He would compete at both his own weight and the absolute category, taking on and defeating huge men who sometimes outweighed him by over 100ibs. 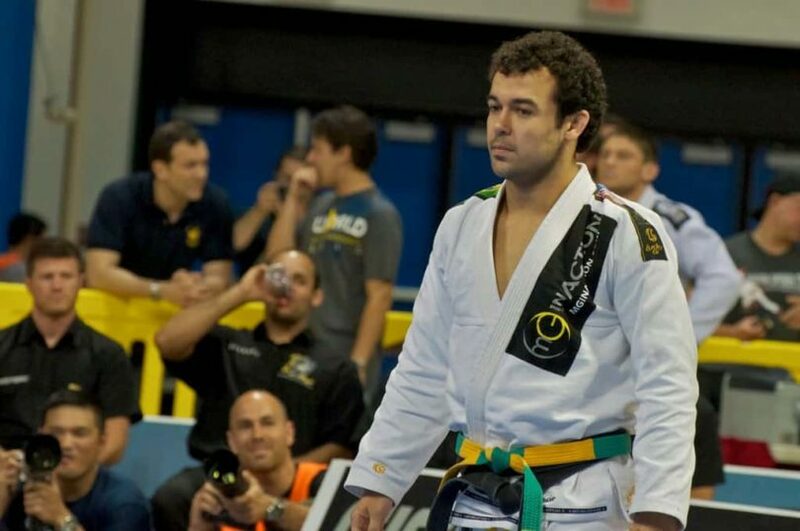 His success led Fernando Augusto Terere, a well-established competitor in his own right, to offer Marcelo an assistant coach position at his gym. He decided to take the offer as the gym was far larger and more advanced than Paulo Rezende’s and he would be able to train with better partners. But never one to settle for anything less than the best, he was soon offered another coaching position by BJJ legend and head of Alliance gym, Fabio Gurgel. The position offered him more money and stability, so once again, Marcelo leapt at the chance. He arrived at the gym as a brown belt who had never trained or competed in the no-gi divisions. It was at the Alliance team headquarters where he would begin to perfect his no-gi game; developing and popularising moves like the arm-drag, the x-guard and his famous guillotine choke. He jumped at the opportunity to compete at the biggest no-gi competition in the world, ADCC. He made it to the final of the trials but just felt short at the last hurdle. But due to UFC fighter Denis Hallman pulling out at the last minute, he was allowed to compete as a last-minute replacement, as a massive underdog. ADCC saw him pitted against both Renzo Gracie and Shaolin Ribeiro, two legends of the sport. Everyone expected him to be beaten handily by either of the two men but to the shock of the crowd, Marcelo dispatched both easily on his way to his first of four ADCC tournament wins. Marcelo would continue to perform at the highest level, winning world championships and cementing his legacy as one of the best of all time. He even had a brief, yet unsuccessful, foray into MMA in 2007 before returning to grappling full time in 2010. After opening his New York academy in 2009, Marcelo has put more of his efforts into teaching and sharing knowledge rather than competing, having not competed since 2011 and formally retiring from tournaments altogether in 2013. His esteemed academy has trainees travelling there from all around the world to train and learn from him and has produced fierce competitors such as Gianni Grippo and Dillon Danis.